Winn Dixie Weekly Circular February 13 - February 19, 2019. Happy Valentine's Day! 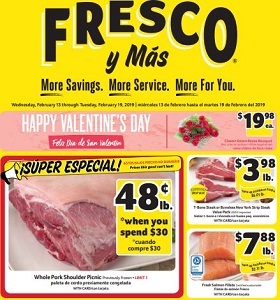 Winn Dixie Weekly Circular February 13 – February 19, 2019. Happy Valentine’s Day! -5/$0.98 Faragello Gold Juice or Nectar; 40.98 Café La Rica or Café Cachita Gourmet Espresso.